Swiss Vapeur Parc at Le Bouveret: A Miniature Wonderland! 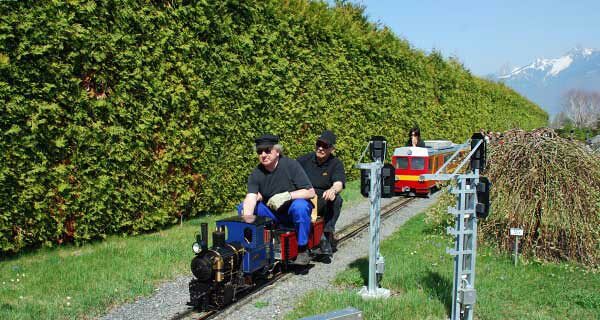 Travel on our fabulous little trains and explore the essence of what is Swiss embodied in miniature models (truer than reality) and rediscover the innocent pleasures of childhood. This unique park displays its attractions in an area of over 17,000 square meters at Le Bouveret, in a pleasant location adjacent to the shores of Lake Geneva, Switzerland. 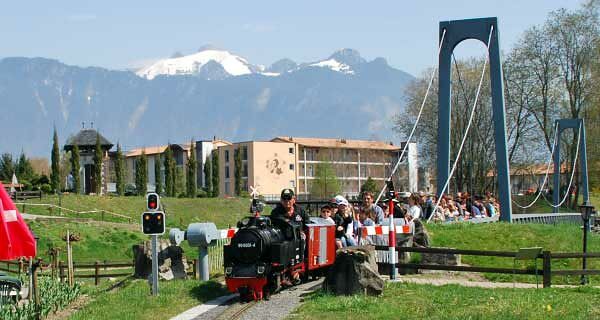 One miniature train enthusiast, having come from afar to admire this touristic marvel of lower Valais, confided that all the troubles of everyday life seem to disappear within the gates of the park. The little trains chug along as if by magic through a sumptuous decor displaying miniature replicas from the rich heritage of Switzerland: the Castle of Aigle, the Church of Saanen, the Halls of Neuchâtel, the Swiss Residence, railway buildings and constructions of every sort (bridges, viaducts, tunnels, etc. ), conjuring up a journey into a land of dreams! Actually our plan was to visit the "Swiss Steam Park" on April 11, my Birthday, but the weather today (April 9, 2008) was so beautiful that we decide to drive down to the Fench part of Switerland where the park is hosted. As you can see on many pictures, the park is very close to the famous Lake Geneva and because we where a bit early and the park was still closed, we decide to have a little picnic. Shortly after 1:30 PM the doors were opened and we could go for our first visit. Beautiful engines and cars are waiting for a ride. 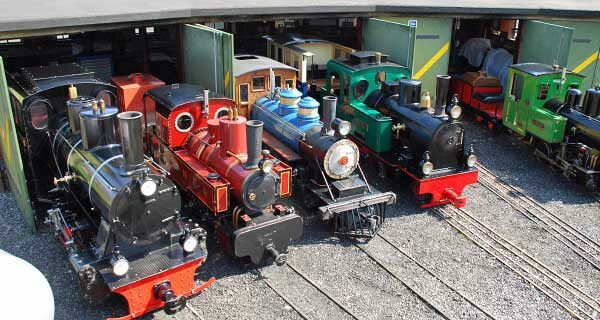 The roundhouse with a row of awesome seam locomotives got my interest. The turntable was ready to get them on the line and some engineers where preparing them for a long run. Trust me, riding through the lovely scenery with real snow mountains on the horizon, real forest and real lakes, gives you a better feeling then Disneyland. A ride on the 1700 meter (a bit more then one mile) long track will bring you through 5 tunnels and 10 different bridges. You cross many other trains like the little brown Crocodile. The last few photos showing the lovely buildings. It's now easier to see the size if someone like my lovely wife Rose, my son Colling or I are standing or sitting close to the building. While my son Collin and I are on our last trip in the red Matterhorn Train, let's say goodbye to our visitors on zscalegallery.com and we hope you've enjoyed the little story.